Captain Marvel is scheduled to be released in the United States on March 8, 2019. 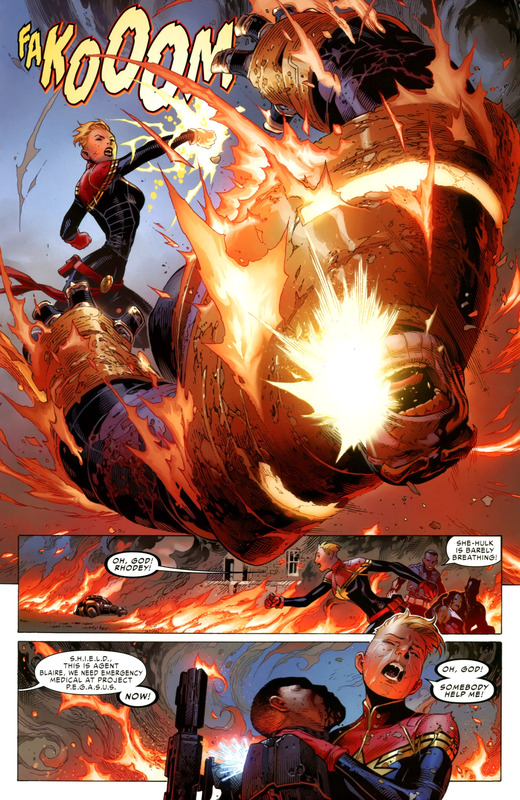 More mor pictures of our girl Brie Larson diving deep into Carol Danvers! Earlier today, actress @brielarson toured the Nellis Air Force Base in Nevada in preparation for filming of CAPTAIN MARVEL! 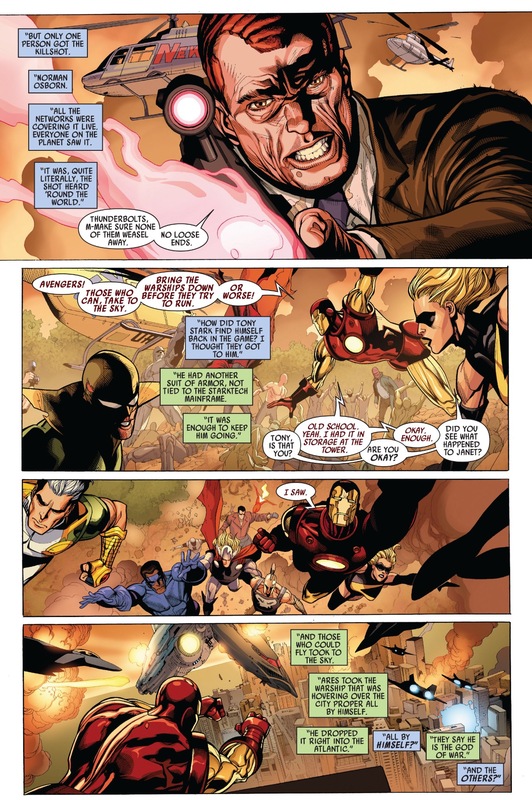 This entry was posted in Avengers, Captain America, carol danvers, H.A.M.M.E.R., Iron Man, Marvel Comics, Ms. Marvel, New Avengers, Norman Osborn, Secret Invasion, Skrulls and tagged amazing spider-man, ares, comics, daredevil, event, H.A.M.M.E.R., iron fist, Maria Hill, marvel, Norman Osborn, Secret Invasion, Thunderbolts, wasp, wolverine on May 11, 2016 by lowbrowcomics. After a terrible accident involving the super hero team New Warriors results in the deaths of hundreds of school-children, the long debated super hero registration act is finally made law. Heroes must register their identities with the government and be trained as proper law enforcement officers. Failure to register is a crime, punishable by incarceration. 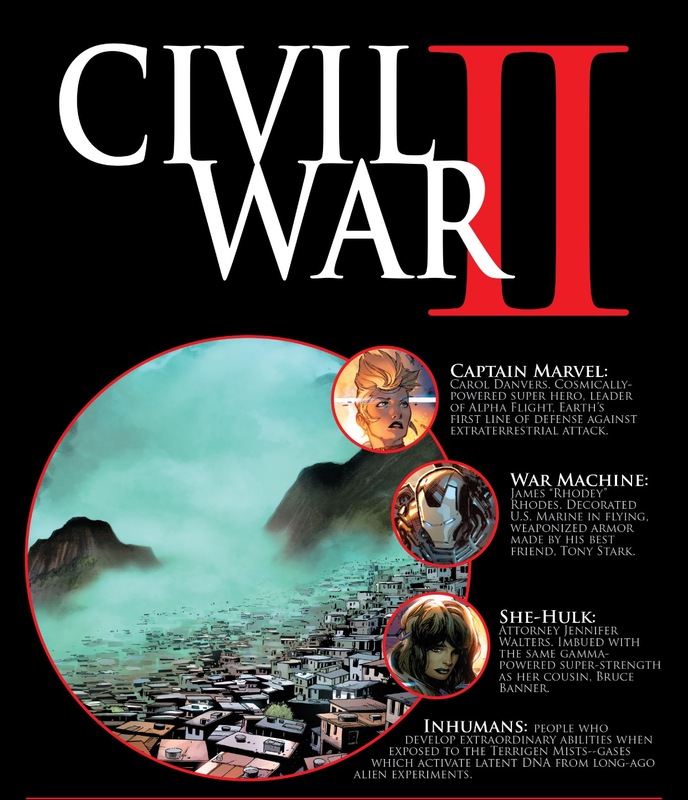 Heroes have divided into two camps – those allied with Iron Man, who supports the law and those who follow Captain America, who moved underground to fight back at a government that has turned his back on him. Julia “Arachne” Carpenter changed sides when she was sent to hunt down her lover, Maximilian Coleridge (AKA “Shroud”). The two of them went on the run, hunted by the United States Government. 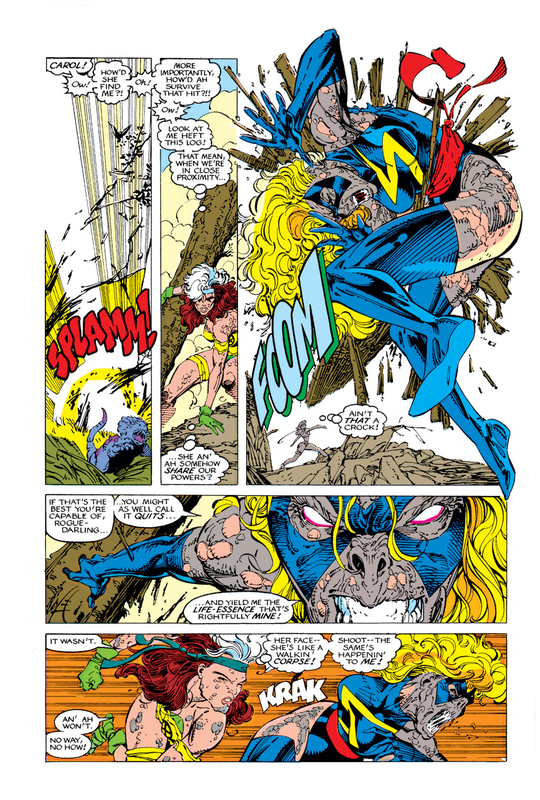 Ms. Marvel and Simon Williams (AKA “Wonder Man”), who both side with Iron Man, captured Shroud, but Julia escaped. 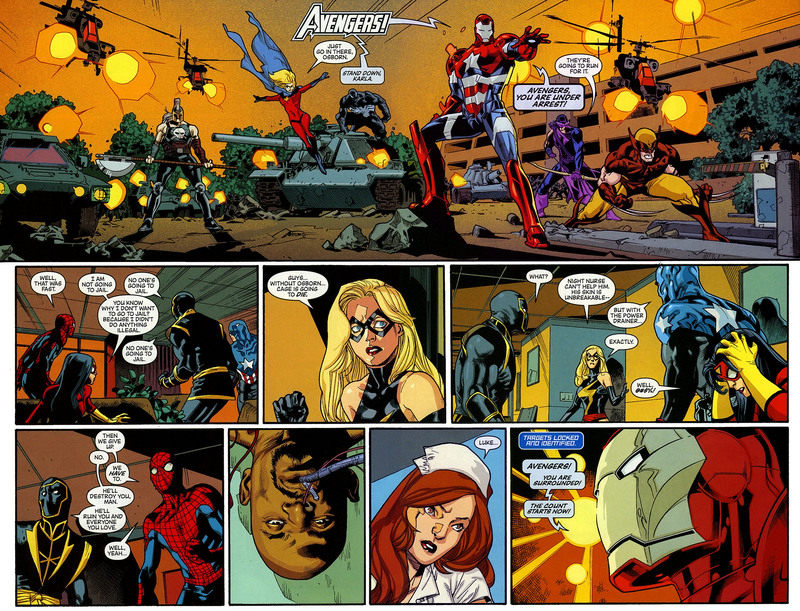 This entry was posted in carol danvers, Civil War, julia carpenter, marvel, Marvel Comics, Ms. Marvel, new warriors, Registration Act, Stamford, Versus and tagged arana, civil war, comics, julia carpenter, Marvel Comics, ms. marvel, simon williams, spider woman, wonder man on April 26, 2016 by lowbrowcomics. 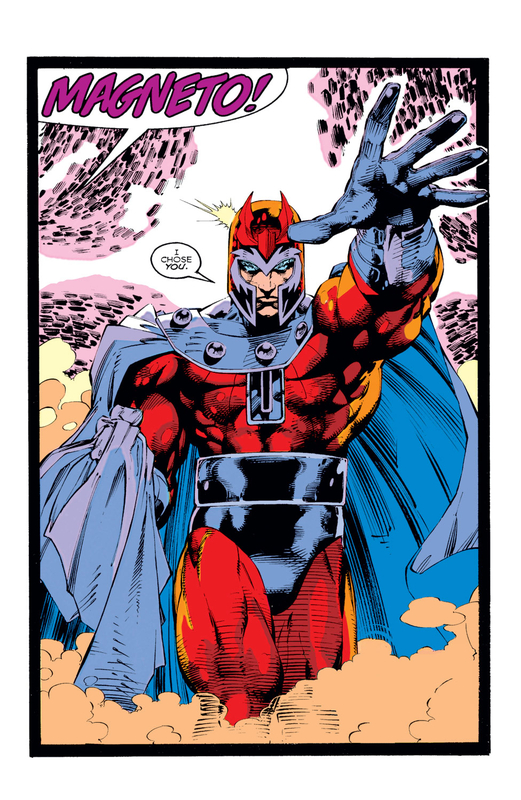 This entry was posted in carol danvers, Magneto, Marvel Comics, Ms. Marvel, Rouge, Uncanny X-Men, Versus, X-Men and tagged comic books, magneto, Marvel Comics, ms. marvel, rouge, uncanny x-men on April 10, 2016 by lowbrowcomics. Who is the Night Nurse? Night Nurse is the name of a Marvel Comics comic-book series published in the early 1970s, as well the alter ego of a fictional character, Linda Carter, known for her willingness to help injured superheroes. Carter was one of three central characters created by writer Jean Thomas, who first appeared in Night Nurse #1 (November 1972), though she was later identified as the lead of another Marvel series published in 1961. Carter later adopted the name “Night Nurse” for herself, and in this incarnation first appeared in Daredevil vol. 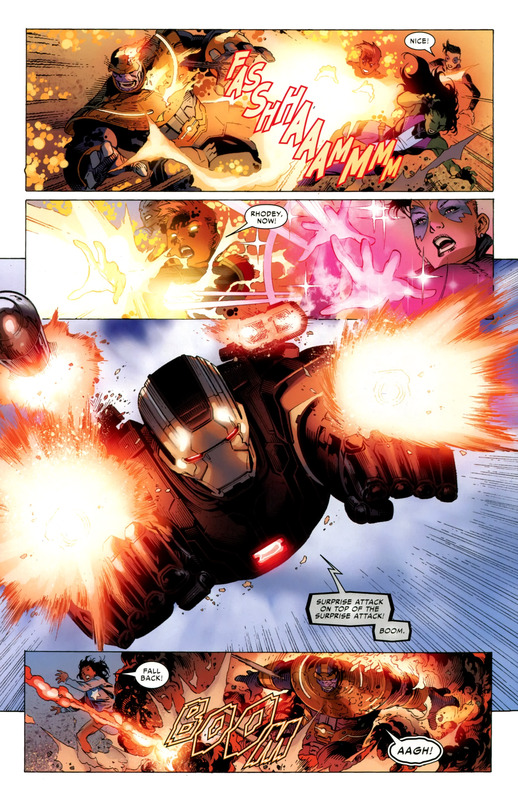 2, #58 (May 2004), written by writer Brian Michael Bendis. Although she uses the word “nurse” as part of her codename, she has since become a medical doctor. The Night Nurse runs a clinic—open all day and all night – in a secret location where superheroes can go to get treated for injuries, no questions asked. Secret identities are preserved and there are no legal reports filed. She doesn’t charge any fees, though she does occasionally accept gifts. She is financially secure enough that she doesn’t do the job for money; her primary concern is that the heroes are healthy and safe. She is an experienced physician and remains calm under pressure, though her full capabilities are unrevealed. She occasionally alters her appearance slightly with her uniform and hair. 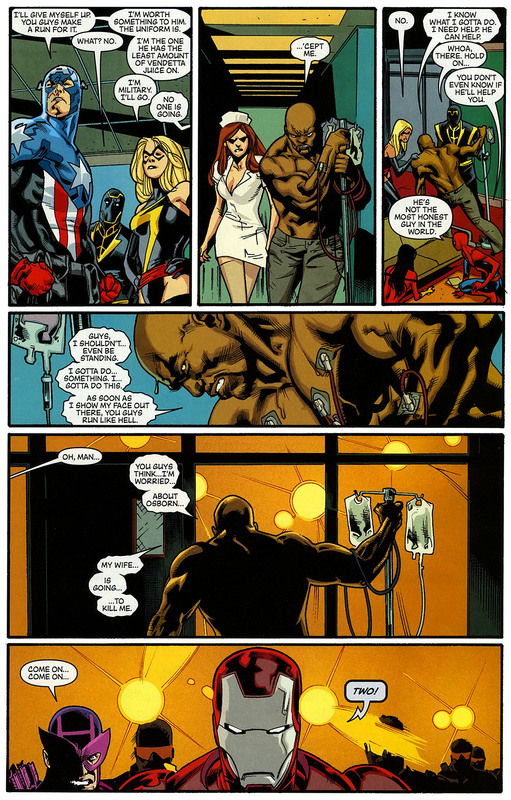 (New Avengers #57) In Brooklyn, the New Avengers brought in Luke Cage to the Night Nurse. 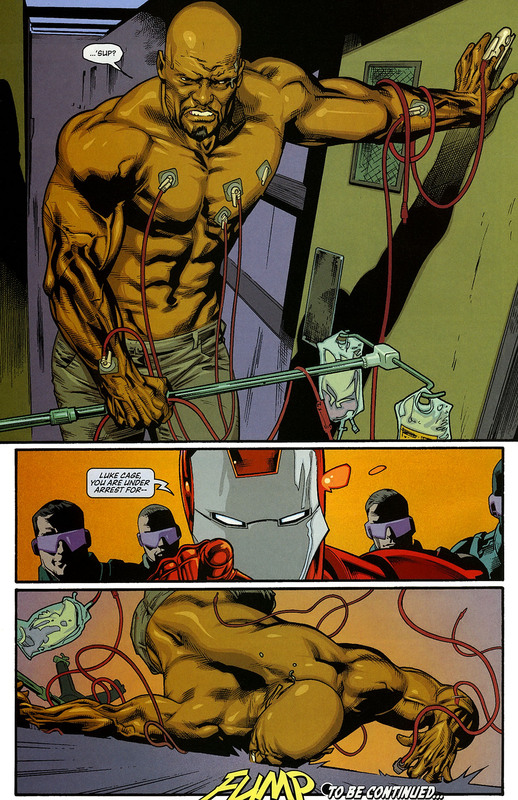 Cage was unconscious and injured after a cardiac attack. 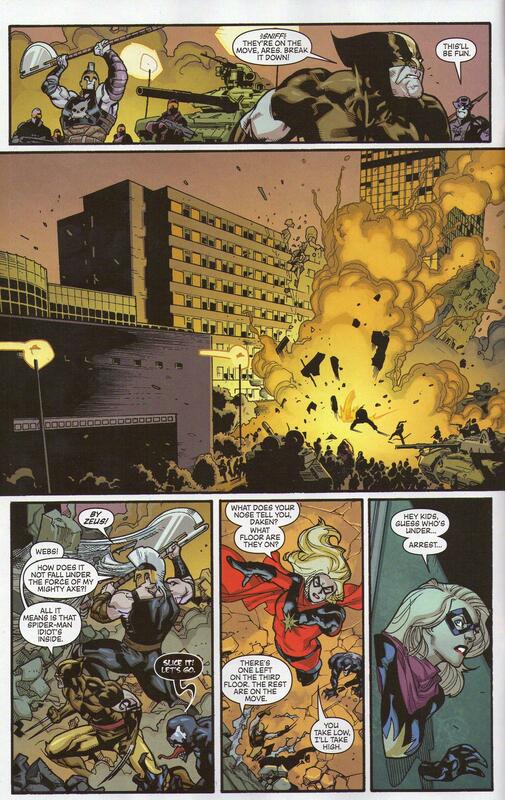 She dismissed all but Ms. Marvel (Carol Danvers) and told her that they needed to get back to whoever had disrupted their powers earlier so Cage could be helped. 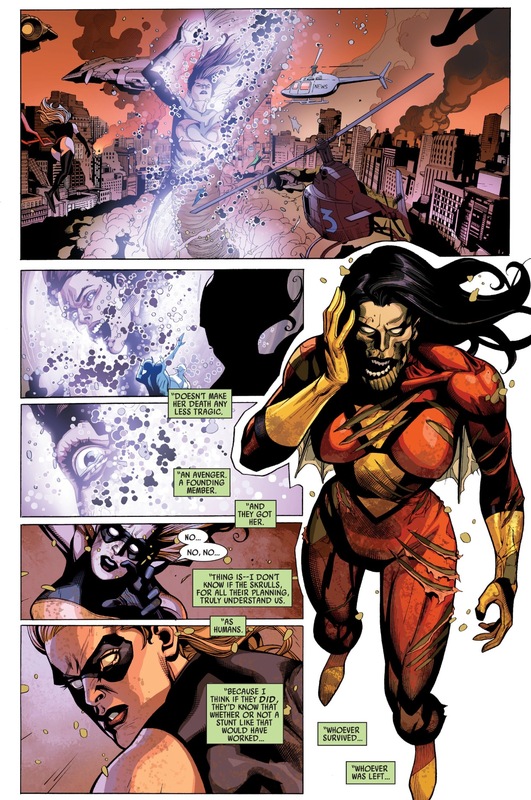 (New Avengers #58) While Norman Osborn’s Dark Avengers took away Luke Cage, Karla Sofen (Moonstone, posing as the new Ms. Marvel) threatened to arrest the Night Nurse, who had meanwhile emailed reporter Ben Urich of the surrender and violent arrest of Luke Cage. Sofen could go further after the defiant Night Nurse warned her of possible civil rights violations. Linda Carter is the daughter of a doctor in Allentown, New York. After moving to New York City and moving in with roommates Christine Palmer and Georgia Jenkins, she meets and falls in love with Marshall Michaels, a wealthy businessman. When he forces her to choose between marrying him or staying at Metro General as a nurse, she chooses her career. 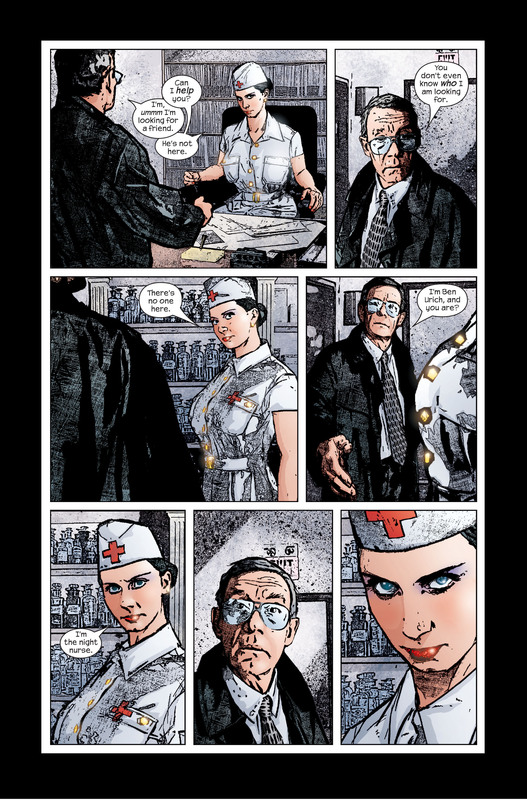 In the following two issues of the series, Linda demonstrates that her skills are not limited to nursing practice, as she performs detective work to help expose an incompetent surgeon and prevents a hitman from murdering a patient. By the time the series was canceled, she had started a budding romance with Dr. Jack Tryon, a young resident doctor. 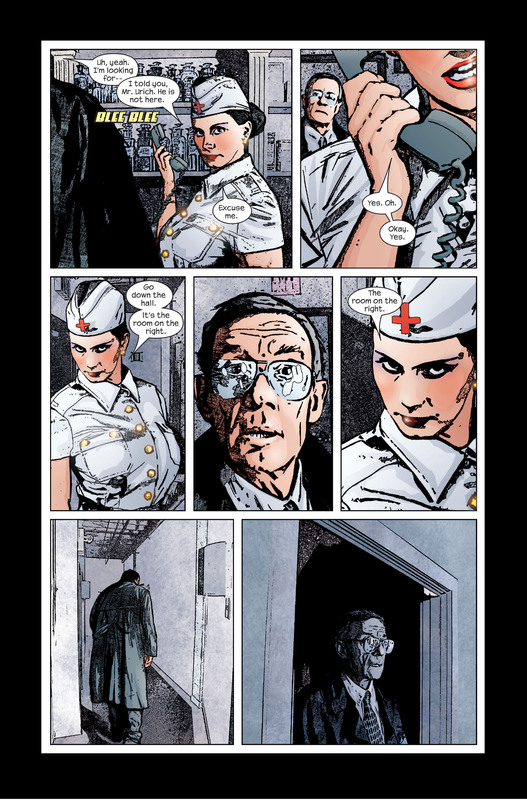 Palmer is the protagonist of Night Nurse #4, with Carter making a one-panel cameo and Jenkins not appearing at all. 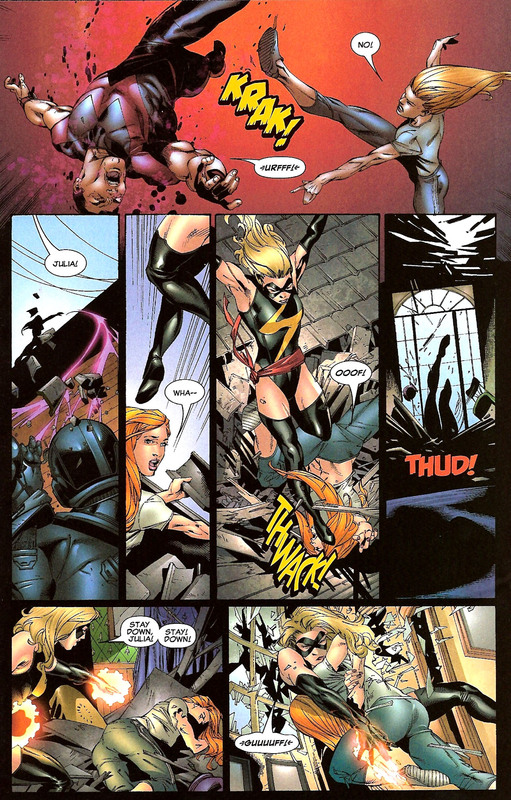 Some after the conclusion of the series, Carter is rescued by a superhero and afterward begins to pay the superhuman community back by ministering to heroes’ health, often pro bono. 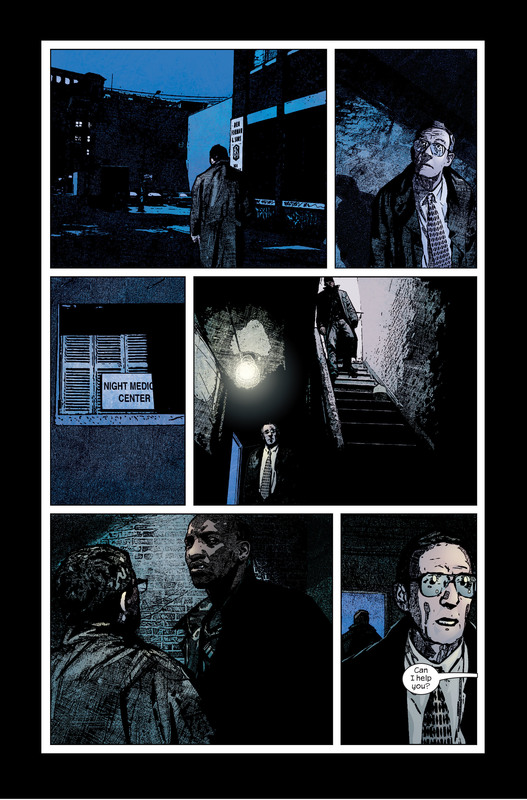 Night Nurse #4 is the only issue of the series that takes place away from Metro General and New York City. This story shifts away from the urban drama of the first three issues and instead features Christine embroiled in a gothic adventure, complete with a foreboding mansion, dusty secret passageways, and mysterious lights. 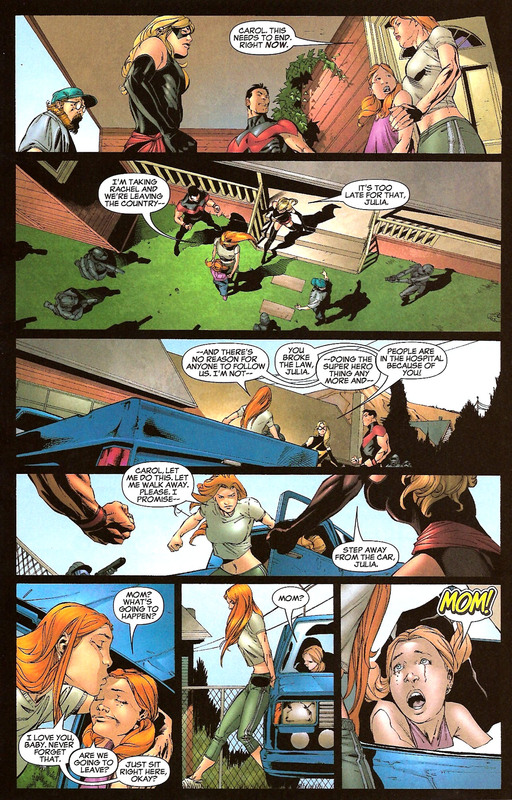 While nothing depicted in Night Nurse connected it to the mainstream Marvel Universe, Christine Palmer reappeared in Nightcrawler vol. 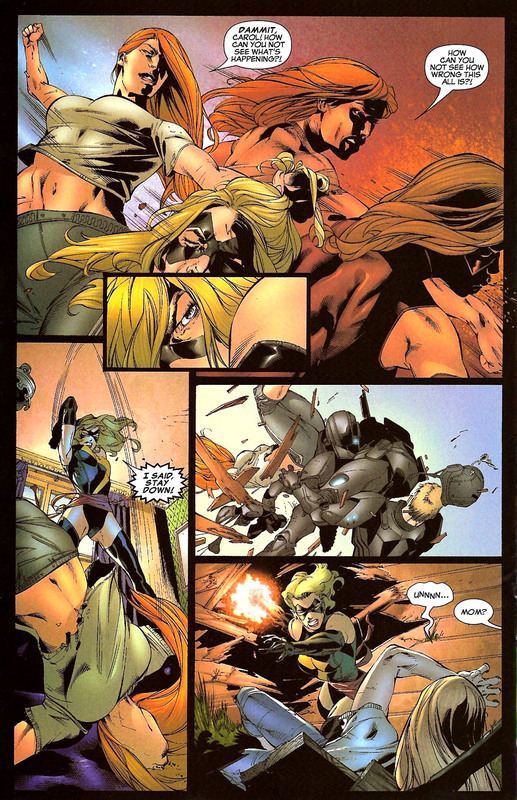 3, #1 (Sept. 2004 – 31 years after her last appearance, in Night Nurse #4). Roberto Aguirre-Sacasa, the writer of Nightcrawler, said in an interview that he was “a huge fan” of Night Nurse, and wanted to bring back the character when he realized that his first Nightcrawler story would take place in a hospital. Linda Carter also reappeared in 2004, this time sporting Night Nurse as an actual codename. When she first reappeared, she took care of a seriously injured Daredevil following his defeat by the Yakuza. Later, she took care of a badly injured Luke Cage. During this time, the Night Nurse became known for her catch phrase, “Go to the room on the right”. 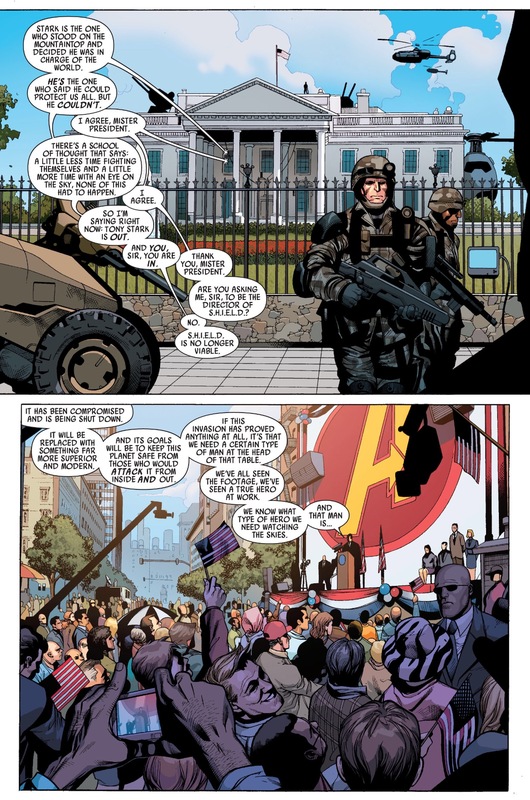 During the superhero “Civil War” over government registration, the Night Nurse took Captain America’s side against the registration act, and joined his resistance group. 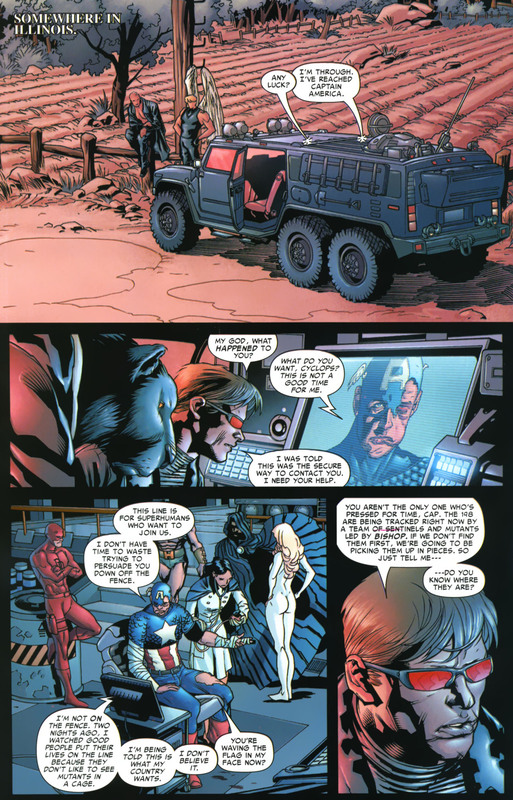 Though she was hard to recognize in Civil War #2 (Aug. 2006), editor Tom Brevoort stated that it was her welcoming the superhero team the Young Avengers at the new headquarters. 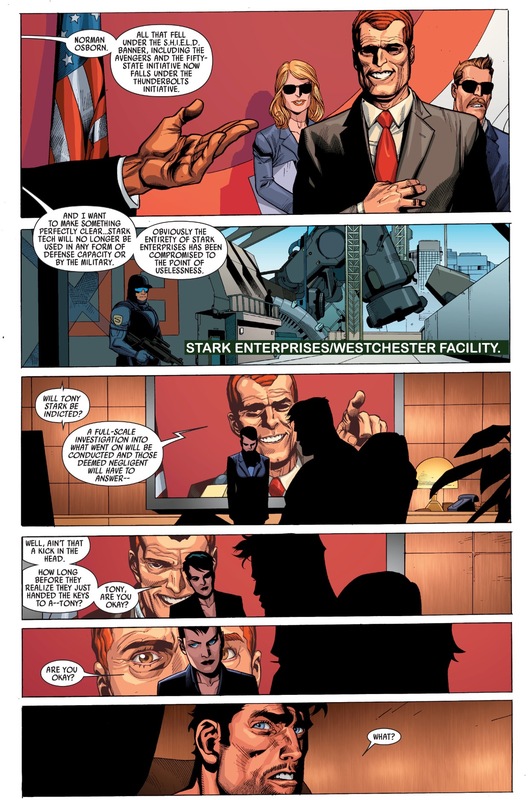 (Civil War: X-Men #2) At the base of the “Secret Avengers” the Night Nurse treated Captain America (from a battle with Iron Man and hi pro-Registration forces) while he spoke with Cyclops over the phone. 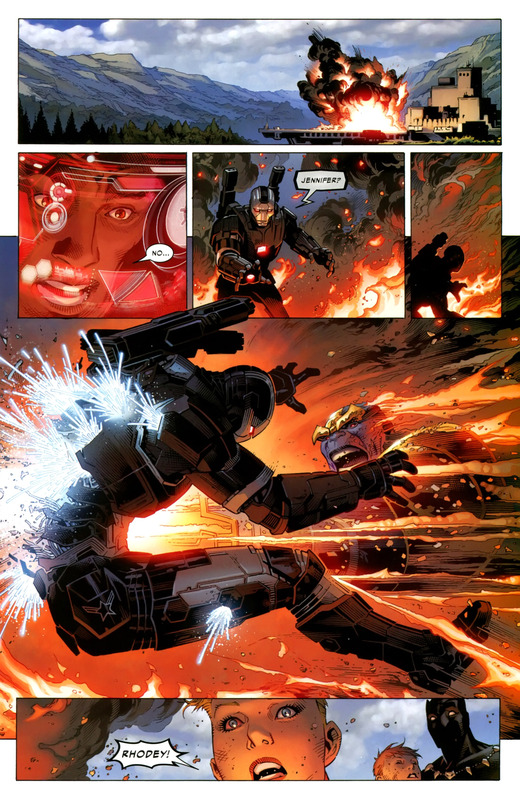 Carter teamed with Doctor Strange in the five-issue miniseries Doctor Strange: The Oath (Dec. 2006 – April 2007). 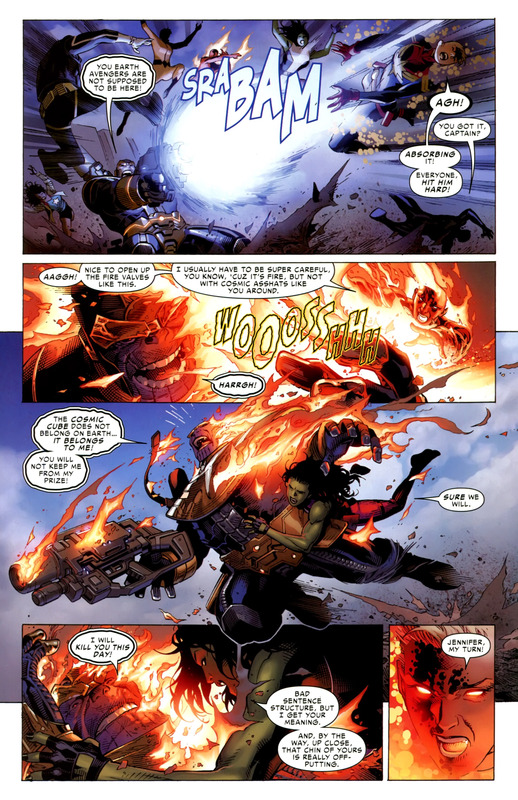 By the end, Carter and Strange entered into a relationship, which later ended. 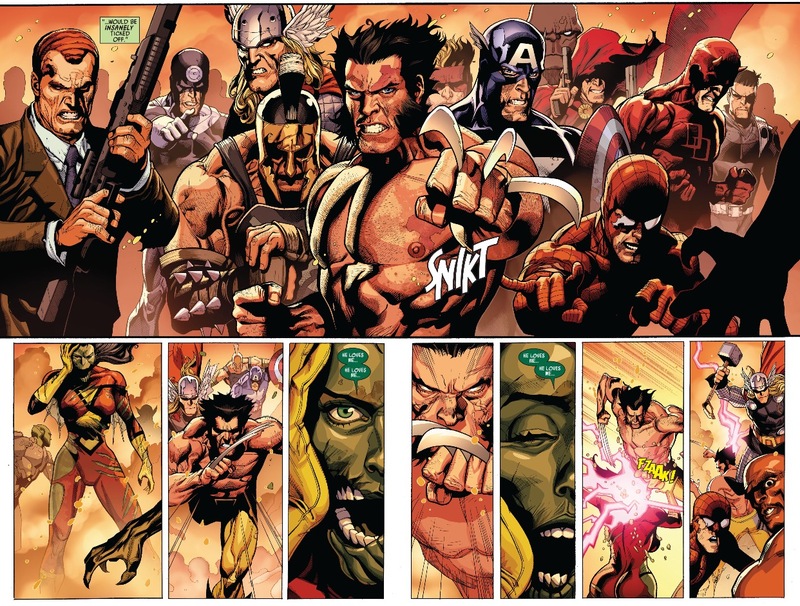 Carter is severely wounded after being abducted and tortured by the shapeshifting alien Skrulls during the Skrull Invasion. 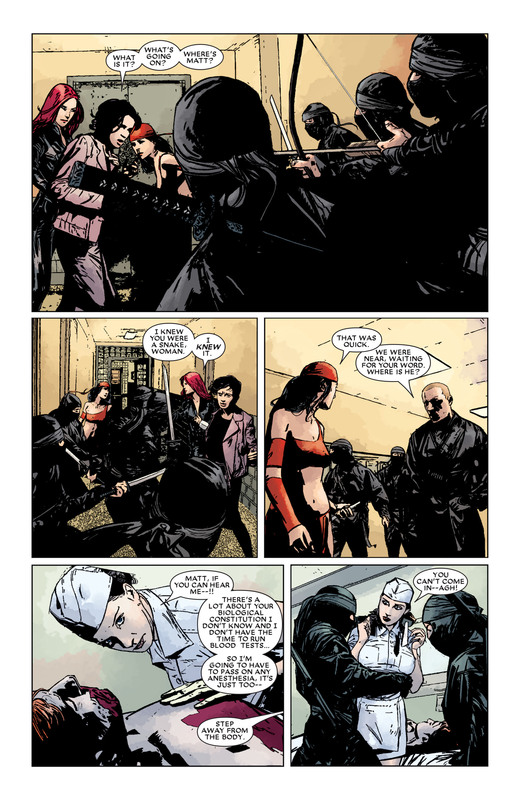 After a subsequent imprisonment by the newly formed H.A.M.M.E.R., she forms a bond with the ninja assassin Elektra. 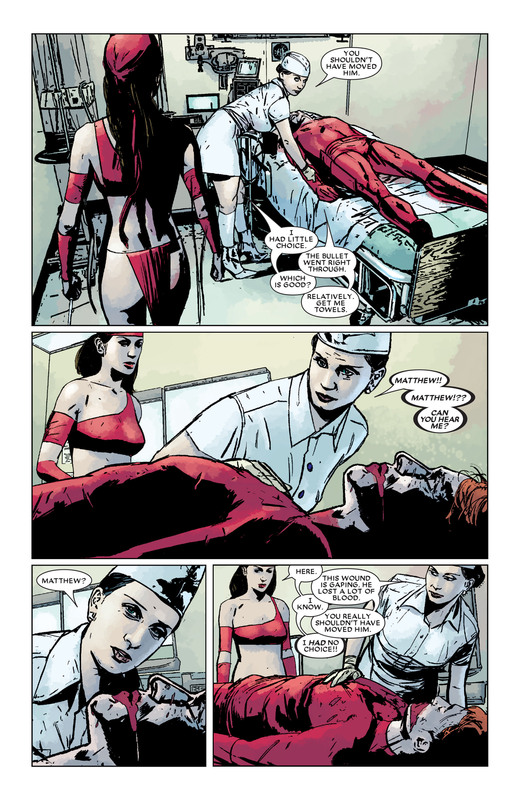 (Daredevil #80) After Daredevil was shot by the Paladin under government orders, Elektra followed Daredevil’s request to take him to the Night Nurse. The Black Widow arrived shortly thereafter with Milla Donovan. 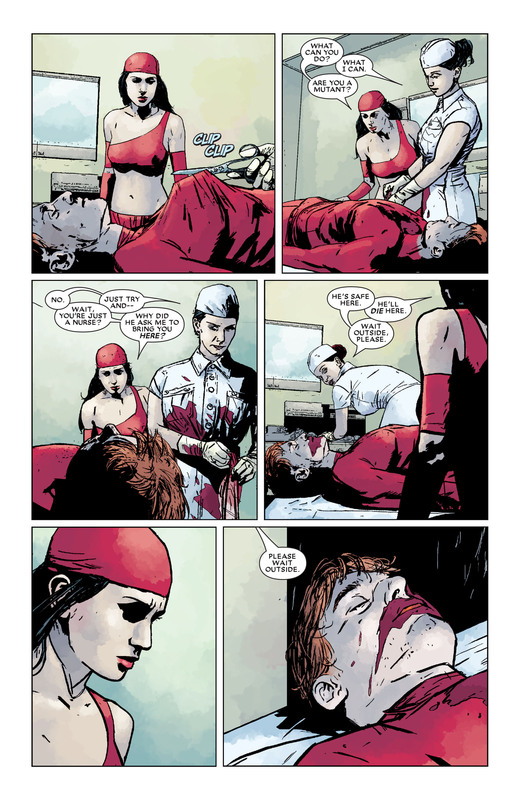 Elektra was less than impressed with the Night Nurse’s care and summoned agents of the Hand to treat him. As the Night Nurse was preparing to operate without anesthesia (since she was uncertain of his biological constitution and didn’t have time to run tests), Hand agents arrived and physically pulled her away while one of their number channeled healing energy in to Matt. Georgia Jenkins is an African-American nurse who comes from an inner city neighborhood, blocks away from Metro General Hospital. On her days off from work, she provides free medical care to the people on her old block. She discovers that her older brother Ben was conned into nearly blowing up the hospital generator. 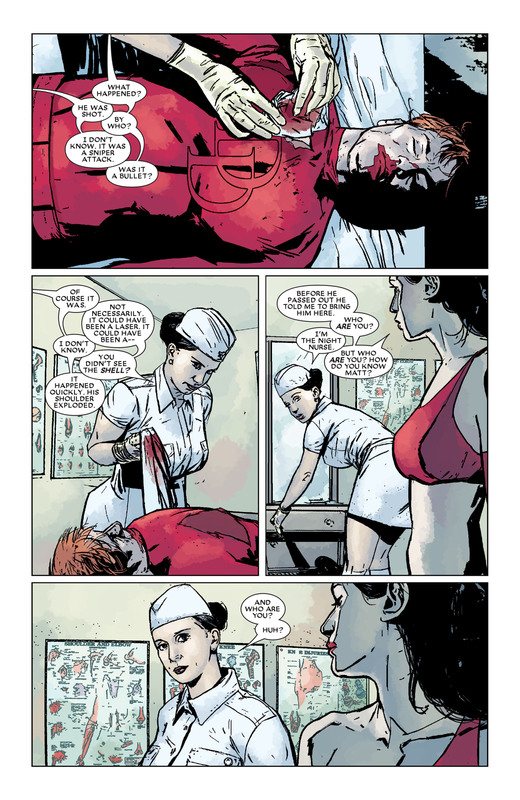 Even though Ben has a change of heart and is shot while trying to protect the nurses, Georgia finds out in issue #3 that Ben has been sentenced to 10-to-20 years in prison. She angrily compares the harshness of his sentence with the fact that powerful mob criminals walk around free. Christine Palmer leaves her home in “an exclusive Midwestern suburb” against her father’s wishes, intending to “make a new life without her father’s money”. In issue #2, her father comes to New York to try to convince her to return to her life as a debutante, threatening “if you don’t come home by Thanksgiving, then don’t come home at all!” Though she considers his offer, she elects to stay in New York and becomes a surgical nurse for Dr. William Sutton. When Dr. Sutton’s career ends in disaster, she leaves New York City and her friends behind, and travels the country, finding a job as a private nurse for a paraplegic at a spooky mansion. However, this particular position is short-lived. 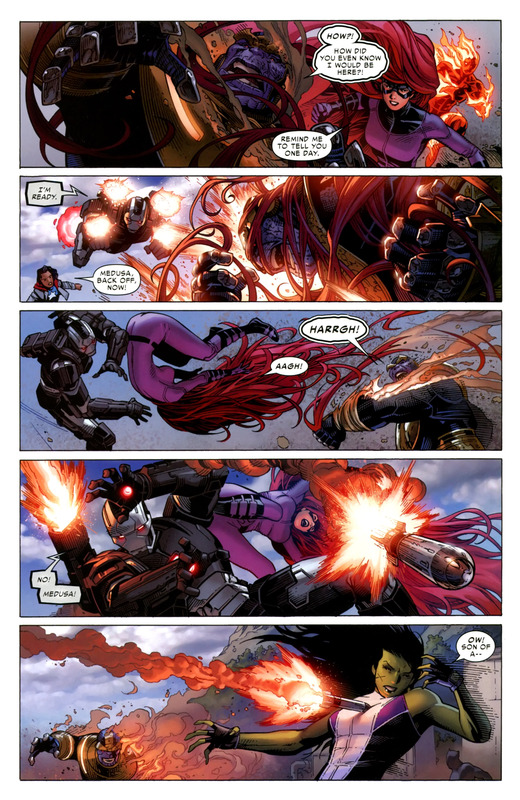 Palmer ended up returning to Metropolitan General Hospital, where she first encountered Storm and Nightcrawler of the X-Men. It is revealed in the Nightcrawler series that her mother lives in Tucson, Arizona. 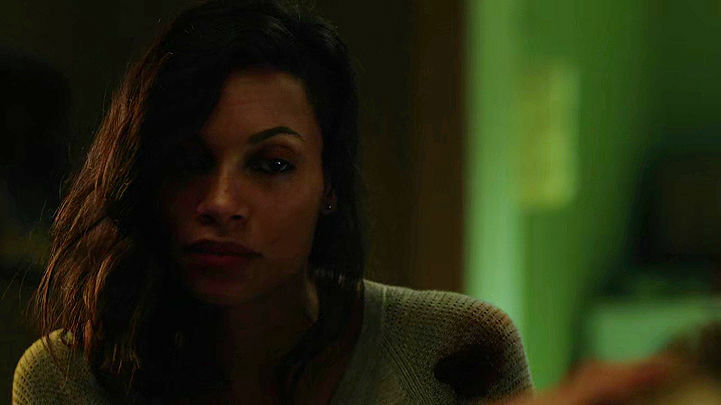 In the television series Daredevil, Claire Temple (played by Rosario Dawson) is amalgamated with Night Nurse. 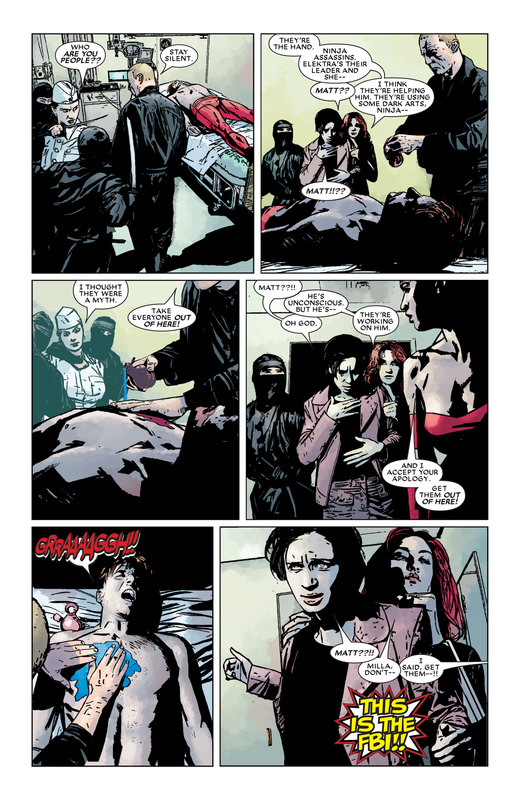 Daredevil season one showrunner Steven S. DeKnight noted that the character was originally “going to be the actual Night Nurse from the comics… we had her name in a script and it came back that it was possible [the Marvel Cinematic Universe films] were going to use her” and “had plans for her down the road,” necessitating the team to use the more obscure comics character Claire Temple as her name. 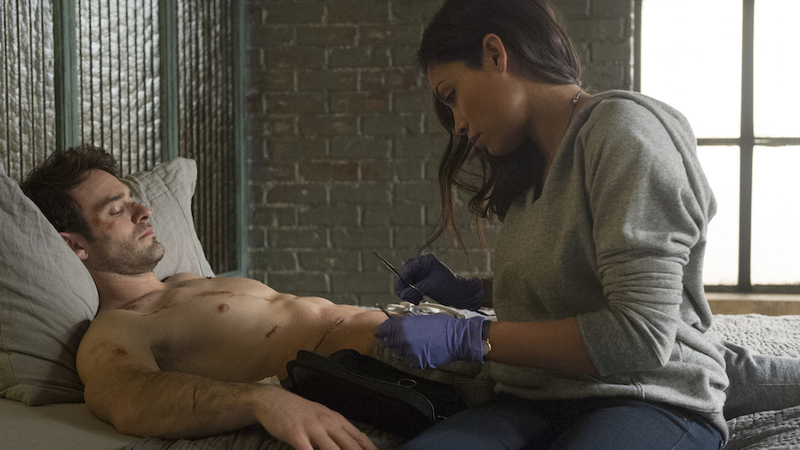 CHARLIE COX as MATT MURDOCK and ROSARIO DAWSON as CLAIRE TEMPLE in the Netflix Original Series “Marvel’s Daredevil” Photo: Barry Wetcher © 2014 Netflix, Inc. All rights reserved. At the TCA (Television Critics Association) press tour this June (2015), Daredevil executive producer/Season 1 showrunner Steven DeKnight took part in a panel devoted to showrunners from various Netflix series. During the panel, which also included Melissa Rosenberg — the EP/showrunner for the upcoming Marvel’s Jessica Jones series — the question came up about how much interference there is from Marvel due to how big their cinematic universe. However, DeKnight stressed that he didn’t feel that things were notably more restrictive with Marvel than others, noting, “We would have creative disagreements that we would sit down and talk about and explain like any other show. But really the only time that we got a ‘no’ is originally, Rosario Dawson’s character had a different name. She was going to be the actual Night Nurse from the comics, and the feature side had plans for her down the road. So that’s the only time that I actually ran afoul of… we couldn’t do something. And we just used another name, so it’s the same character. 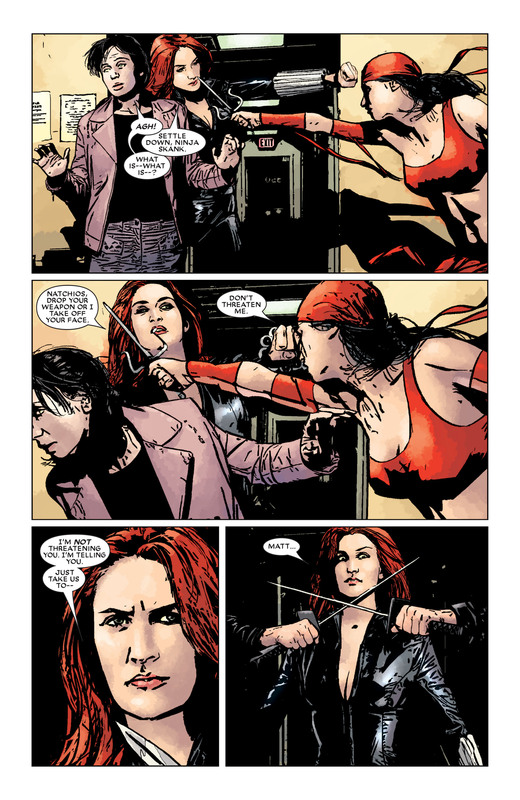 Dawson ultimately played Claire Temple, a fairly obscure character from Luke Cage’s past in the comics, who ends up helping Matt Murdock in the series in a similar manner to Carter/Night Nurse’s usual role. Earth-616 Dr. Claire Temple was born an raised in New York City. She met and married her college sweetheart Bill Foster. However over time their relationship soured and the pair separated. She took a job as a Medical Doctor for Dr. Noah Burstein at his 42nd Street Storefront Clinic. In addition to being a Night Nurse, she also was a on-again-off-again love interest for Luke Cage. She eventually leaves him because of the craziness of his superhero lifestyle and constantly being exposed to danger. 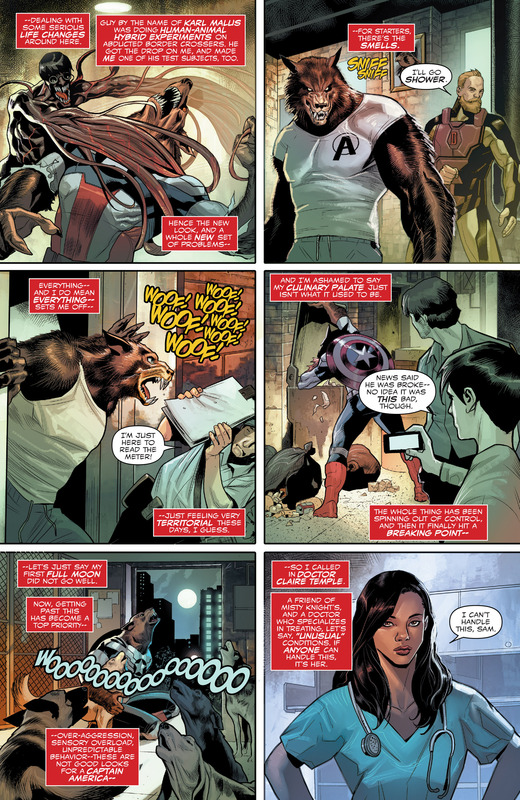 Her most recent appearance is in Captain America: Sam Wilson #4. 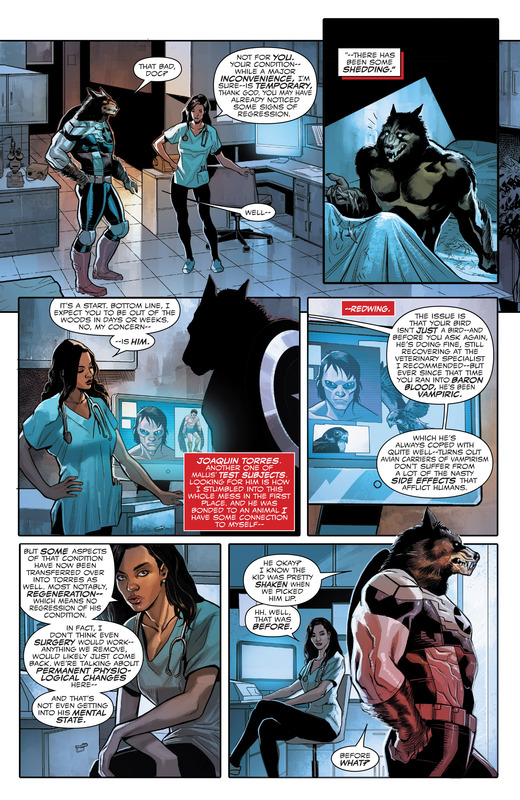 Sam has been turned into a werewolf and a favor is called in to Claire (also revealed to be a good friend of Misty Knight) because she is proficient in handling “unusual conditions”. The Night Nurse (Claire Temple) appears in Season 1, Episodes 12 and 13, of Netflix’s Jessica Jones when Jessica Jones brings the unconscious Luke Cage to the emergency room where Claire Temple is working. Rosario Dawson will reprise her role in the upcoming Luke Cage solo series on Netflix. 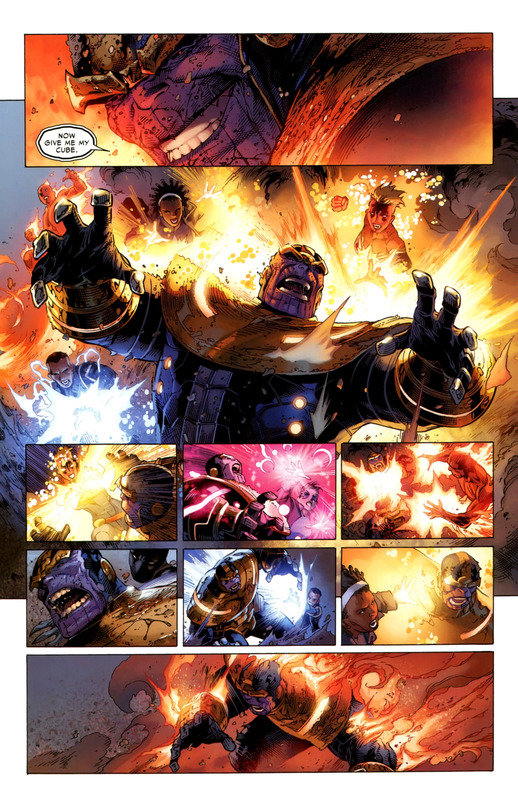 This entry was posted in Amazing Spider-Man, Avengers, Captain America, carol danvers, Civil War, Daredevil, Doctor Strange, elektra, Heroes for Hire, Iron Fist, Jessica Jones, Luke Cage, marvel, Marvel Comics, Matt Murdock, Misty Knight, Ms. Marvel, netflix, New Avengers, Night Nurse, Patsy Walker, Registration Act, TV and tagged amazing spider-man, avengers, black widow, Brooklyn, captain america, carol danvers, Christine Palmer, Claire Temple, colleen wing, cyclops, daredevil, Dark Avengers, Doctor Strange, elektra, Foggy Nelson, Georgia Jenkins, hawkeye, Heroes for Hire, iron man, Jessica Jones, Linda Carter, luke cage, Marvel Comics, Misty Knight, mockingbird, ms. marvel, Netflix, new york, Norman Osborn, ronin, rosario dawson, Secret Avengers, spider woman, the hand on January 1, 2016 by lowbrowcomics. See the event that kicked off the Registration Act here! 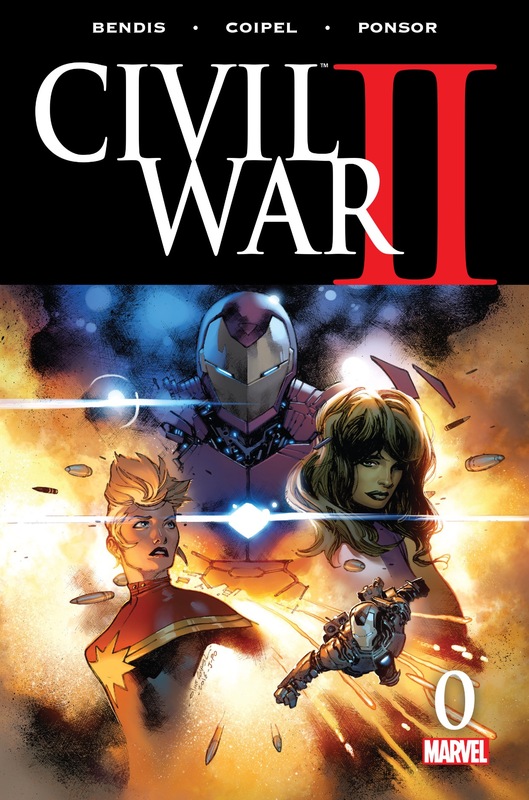 This entry was posted in carol danvers, Civil War, Iron Man, Jessica Jones, Luke Cage, Marvel Comics, Ms. Marvel, Power Man, Registration Act, Stamford and tagged carol danvers, civil war, iron man, Jessica Jones, luke cage, ms. marvel, Registration Act on August 29, 2015 by lowbrowcomics. 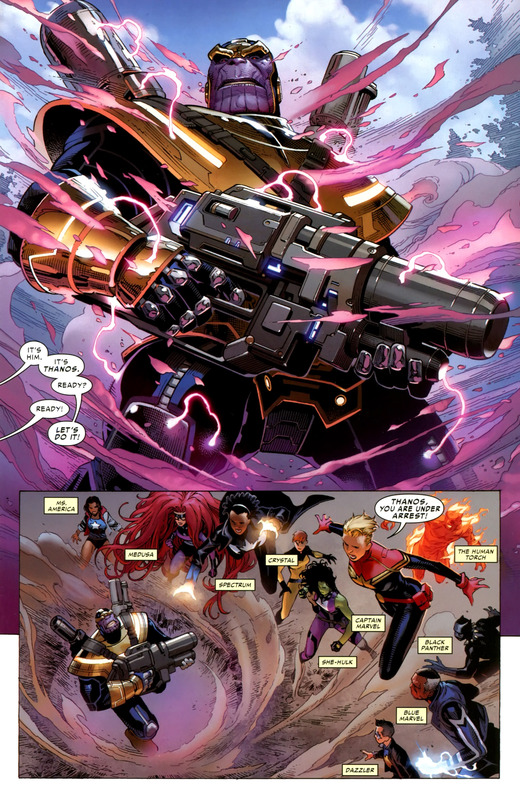 This entry was posted in Amazing Spider-Man, Bucky Barnes, Captain America, carol danvers, Clint Barton, Doctor Strange, Luke Cage, Marvel Comics, Mockingbird, Ms. Marvel, New Avengers, spider woman, Versus, Wolverine and tagged age of ultron, amazing spider-man, avengers, black widow, captain america, captain marvel, carol danvers, Dormmamu, Dr. 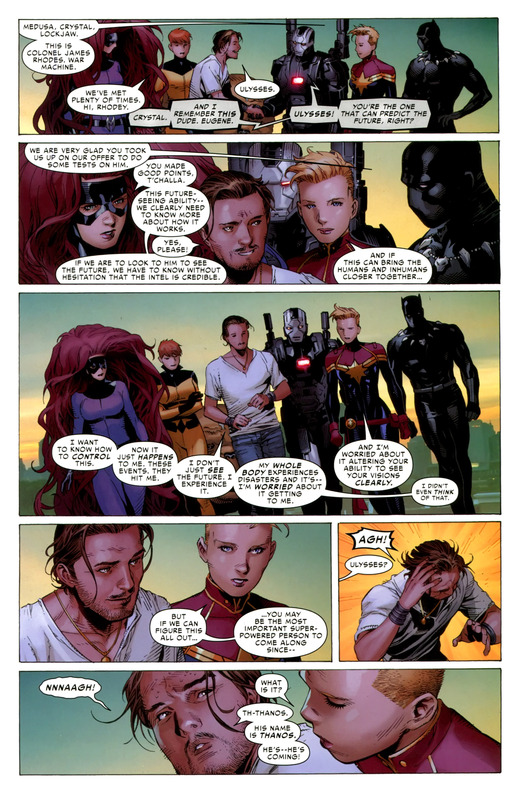 Strange, hawkeye, hulk, iron man, luke cage, quicksilver, scarlet witch, thor, warbird on April 14, 2015 by lowbrowcomics.